Manuel Amoros compte 82 sélections en Équipe de France, avec laquelle il a remporté l’Euro 84. 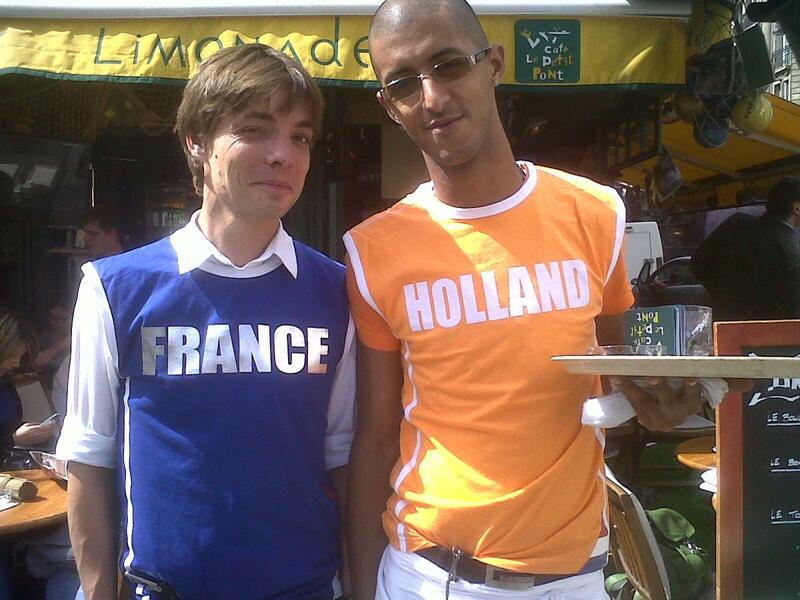 Some cafes in Paris have sponsors that provide new tee-shirts every night to their waiters. Don't they look proud? So are you still watching? It's fair to say that the neutrals (excluding Switzerland for once) wanted Spain not just to win, but to win well. This has been a World Cup that, thus far, has been lacking in world-class play. It comes to something when Germany - efficient, mechanical old Germany - are considered the flair team of the tournament. The obvious answer is that managers have learnt their lessons from mistakes by their predecessors. Avoiding defeat in their first match has become their priority. As Arsene Wenger put it this week: "In the first round teams play more not to lose than to win. The games are quite locked tactically with very few chances and very few have had a go. The pressure of the World Cup is so intense nobody wants to lose that first game."